Discover Valley Reconditioning - the premier auto detailing facility of the Red River Valley. At Valley Reconditioning, you will experience the most comprehensive detailing available in the Upper Midwest. Our staff provides detailing services for those who take pride in a spotless vehicle as well as dealership showrooms. High end luxury or economic vehicle? Makes no difference to us! 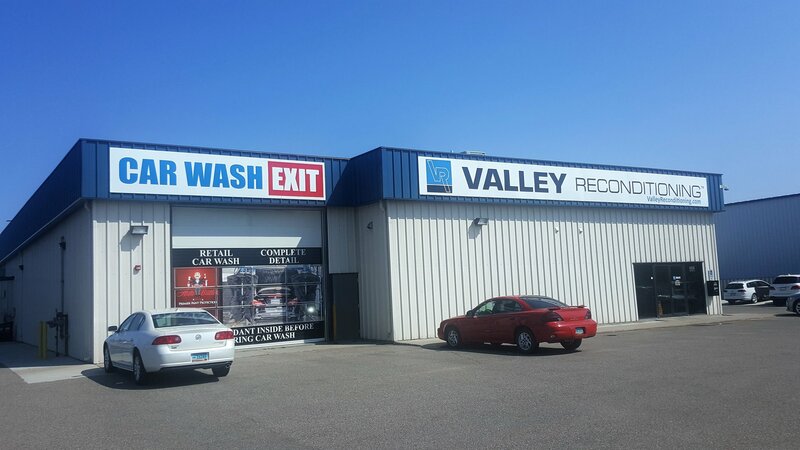 Whether you choose Valley Reconditioning because of our extensive service menu or because of our impeccable reputation, you will not be disappointed in our work on your car, truck, semi, boat, motorcycle or RV. Thank you all for the amazing job on my Jeep, it looks like new again! I cannot believe how bright the white paint really is, I always thought it was an off-white color, man I was wrong! The inside is awesome and smells like new. Thanks!